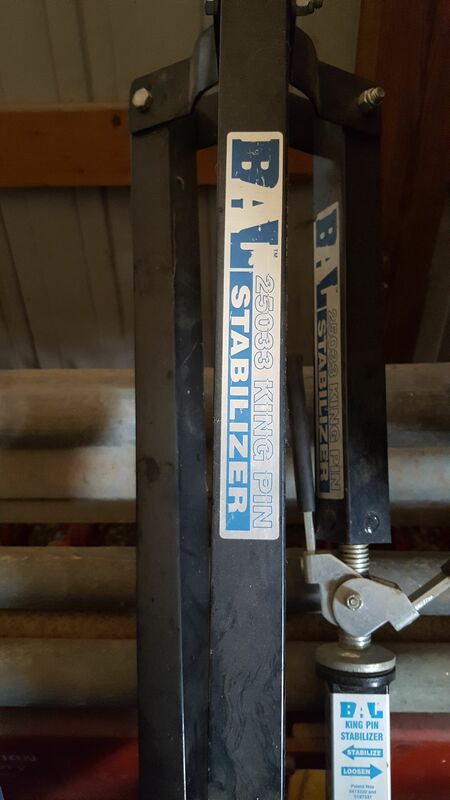 This is a BAL 25033 King Pin stabilizer.Hardly used. Purchased to use with our first 5th wheel. Then upgraded to a different 5th wheel with more jacks. No longer needed.